That I think they always knew would be the death knell of that relationship. I think they needed to keep that line taut and very clear … Keep the tension, never cross it. Obviously, Detective Benson and Detective Stabler were extremely close when Christopher Meloni was a still a part of the series. They were partners, after all. They worked long hours and had to take down major criminals. They occasionally got into threatening situations. You can’t have a working relationship like that without trusting your partner implicitly. But we've seen shows like Bones or Castle lose something after a romantic tension turned into a full-blown romance. It’s no wonder that Christopher Meloni revealed on Inside The Actors Studio that both he and the creative team were on the same page about where that relationship would go. Of course, by now it has been years and years since Christopher Meloni and Mariska Hargitay were on Law & Order: SVU together. Meloni ended up leaving the cast of the long-running series at the end of Season 12, along with B.D. Wong and Tamara Tunie. While some cast members who have left have returned, Meloni has been busy with other projects, including Wet Hot American Summer: first Day At Camp, Underground, True Blood and plenty of movie projects. There was a rumor going around that Meloni might actually make his big return to the series at the very end of this season. However, showrunner Warren Leight revealed that once NBC renewed the drama for the 2016-2017 TV series the idea was put on the backburner and the actor wasn’t even asked. 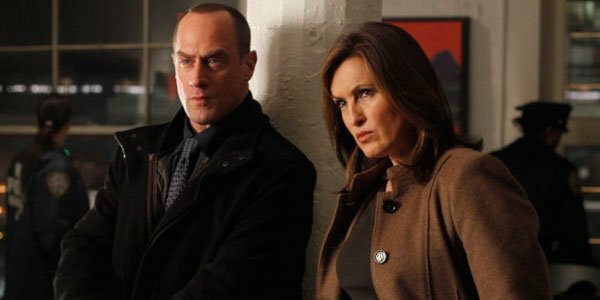 Maybe eventually we’ll see Elliot Stabler and Olivia Benson reunite on the small screen at some point, but one thing’s for certain: Even if the actor does come back, it's unlikely there will be an romantic shenanigans with his co-star. The tension was honestly what made that relationship so great, anyway. In the meantime, you can catch new episodes of Law & Order: SVU on Thursday nights at 9 p.m. ET. In addition, here's what is coming to TV this summer.